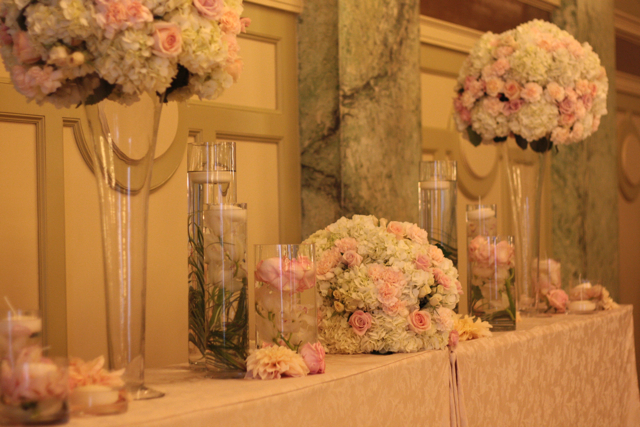 This past weekend we provided wedding flowers at the Willard Hotel in DC. 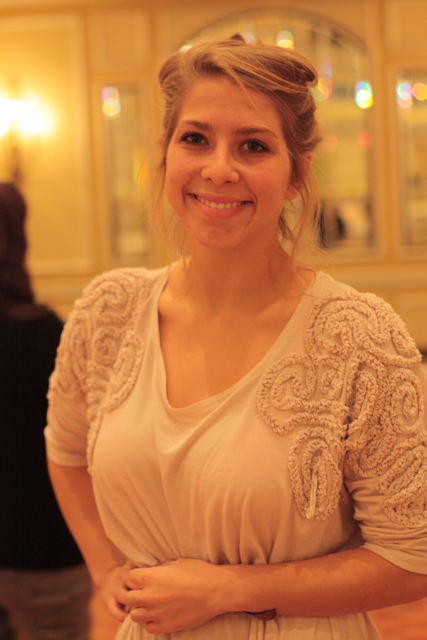 Our weekend was loaded with beautiful designs and a surprise visit from my daughters. 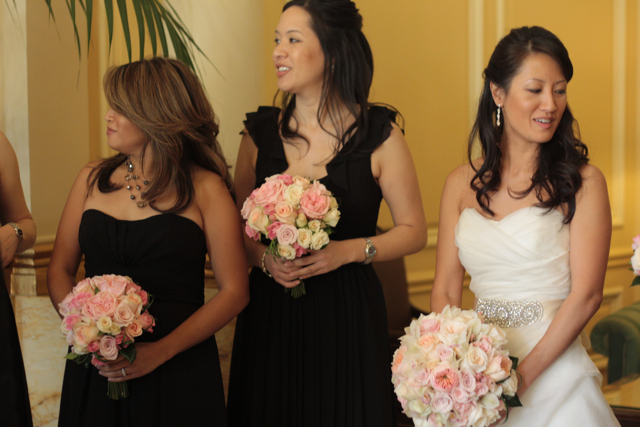 In an effort to stay together they came with me to Youlee’s wedding which was extra special for me!! With photographer daughter Hannah around a few extra pictures were captured of us working on the job and she got some great shots of the wedding party and the flowers. 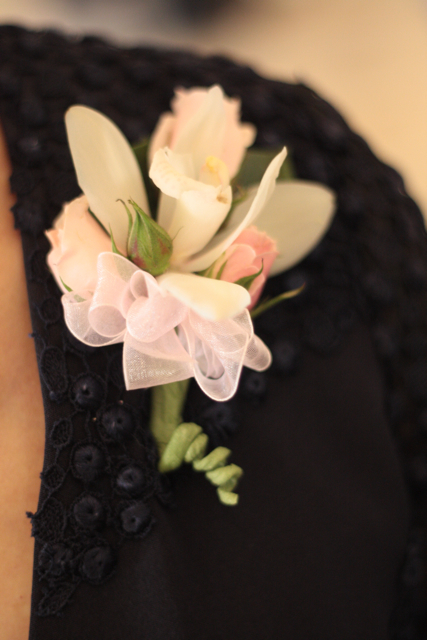 We used mini cream colored cymbidiums in the bridal bouquet and the bouts and corsages. 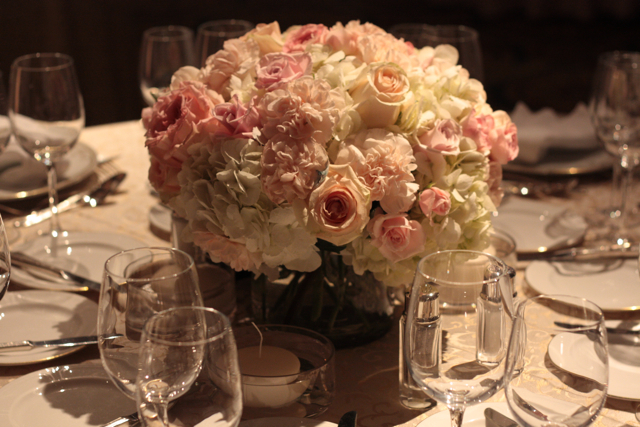 We also used pink and white ohara cabbage roses. 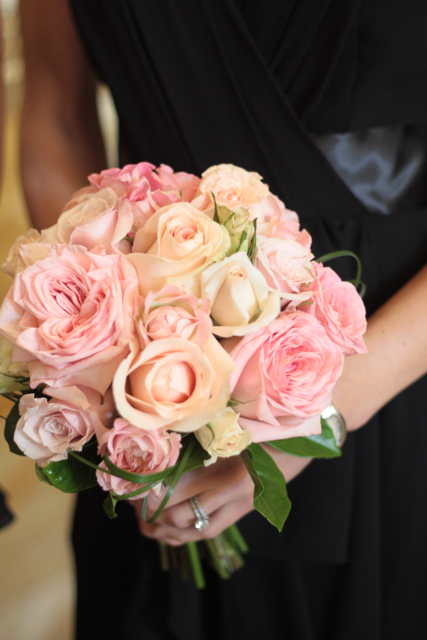 pink spray roses, peach juliet roses and chablis roses. 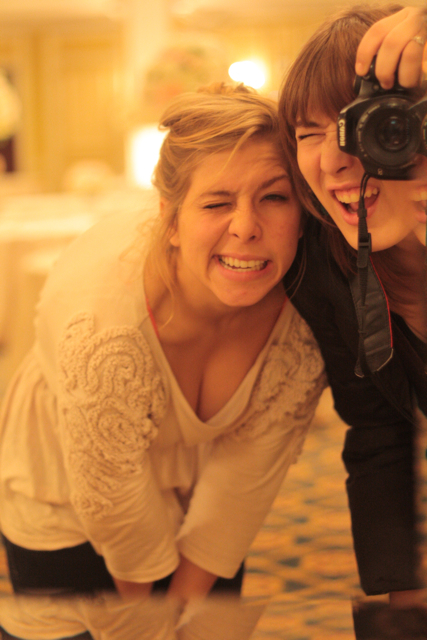 While we were setting up the ceremony the girls had a little fun with the camera!! This weekend we were also asked to drape the stage in fabric for the ceremony. I will admit this was something I had never done before and I was a bit nervous. 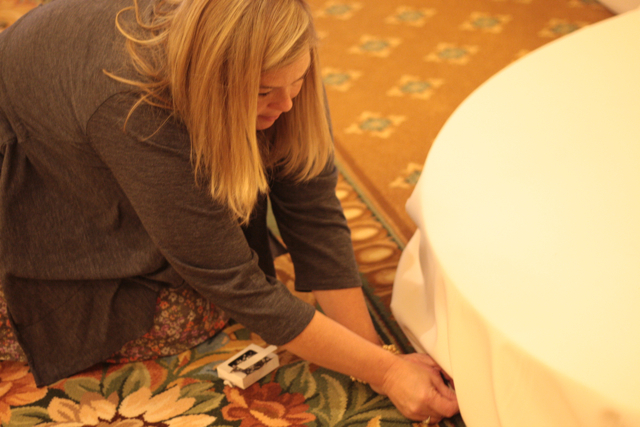 Since we do happen to be in the drape business now, I figured I better get my game face on and get the job done. Evan helped me figure out how much fabric I would need and it was a fun and fairly easy job. One thing I know for certain this looked amazing compared to the the black commercial carpet the stages come in!! 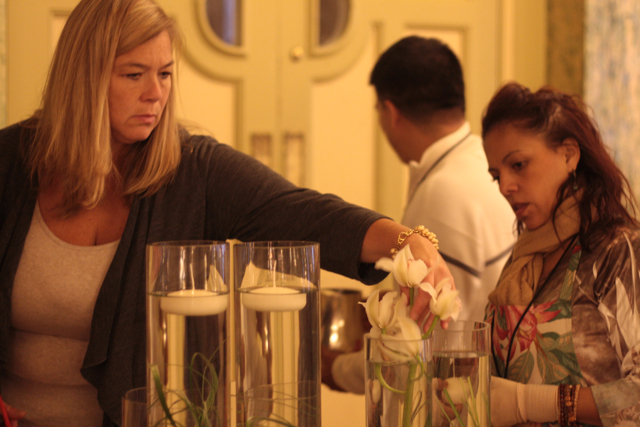 Many thanks also to Christina from the Willard hotel who walked me through the process and was a delight to work with, every hotel needs a Christina, she was awesome!!!! 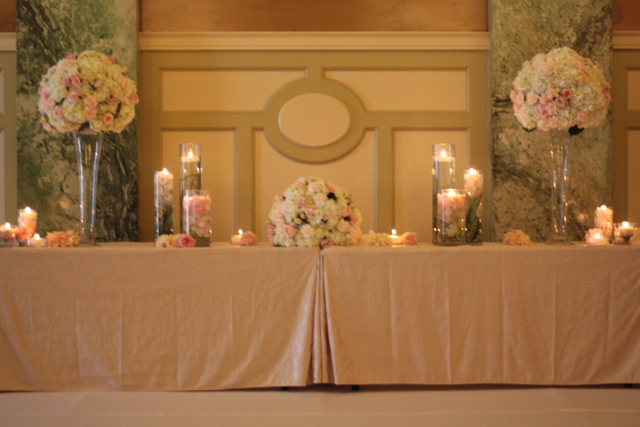 Once the stage was draped we started designing our pieces for the altar table. 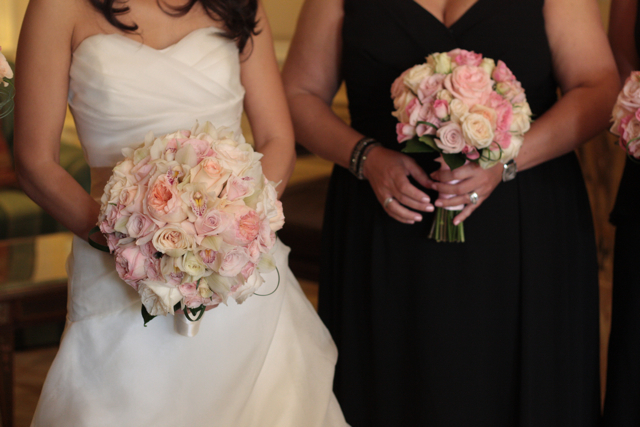 We filled cylinders with cymbidium orchids, roses, dahlias, and hydrangea. 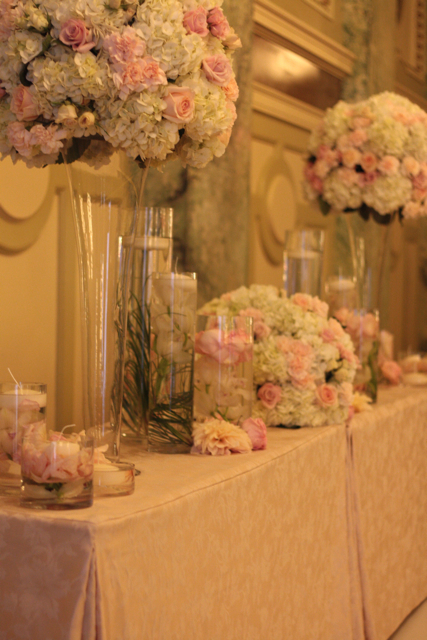 We also used several of the centerpieces to increase the beauty of this table. I had to laugh when I saw this picture because I always look serious when I am designing, I am concentrating and thinking its gotta be perfect!! 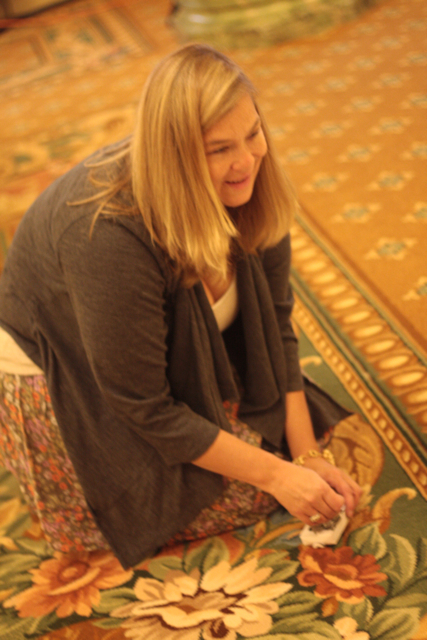 Next we headed to the grand ballroom to set up the reception space. 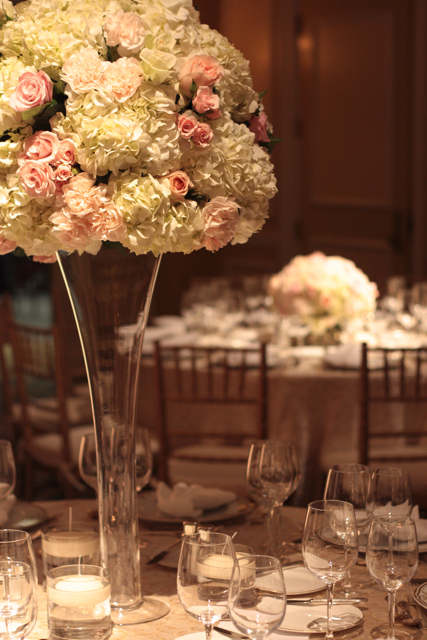 Our designs featured elevated and low centerpieces. 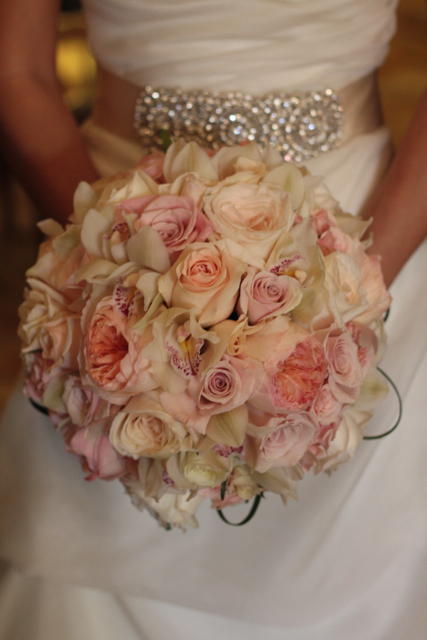 We used pink and peach roses, hydrangea, peach carnations, and spray roses. 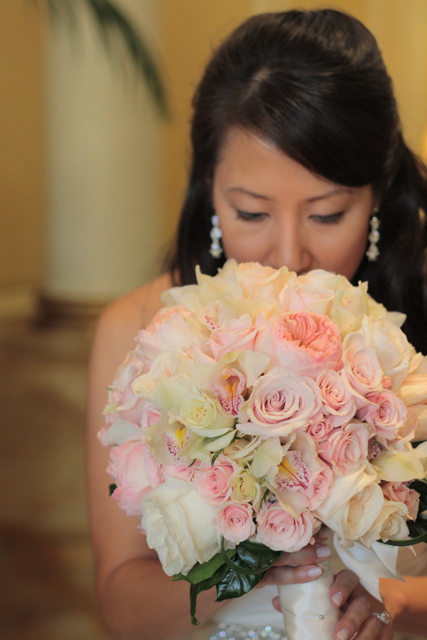 This was a beautiful DC wedding!!! 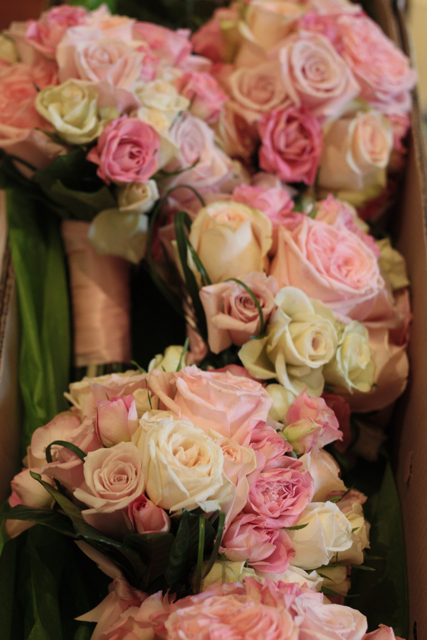 Holly, they are so beautiful ! I can hardly imagine Youlee’s reaction when she saw them. 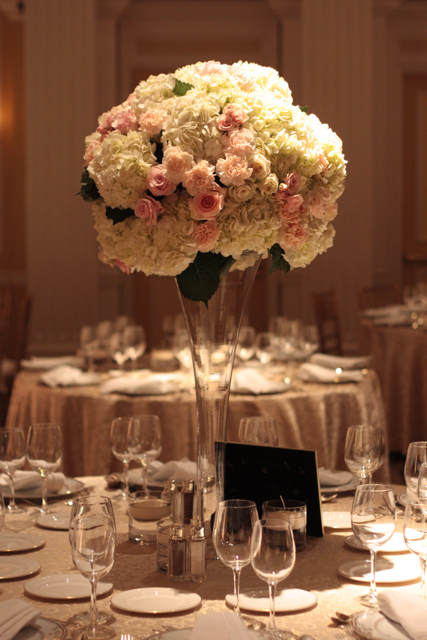 I am particularly impressed by the ball-shaped posies in the tall vase (in the last photo). May I ask , are these sitting in an Oasis bowl in the vase, or are they just hand-tied, or ??? 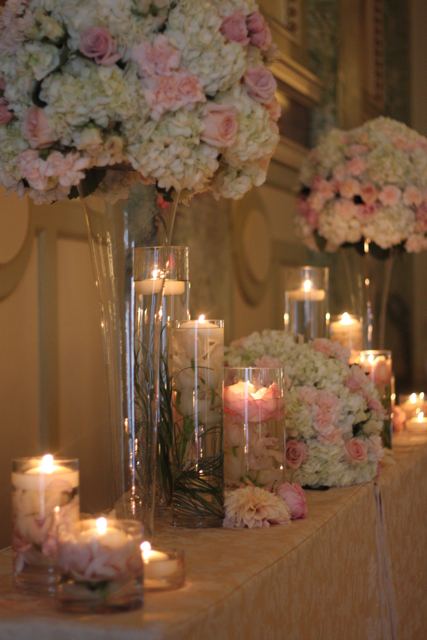 Welcome to my blog, the place where I gather my thoughts and share the ins and outs of running a flower and event design studio in one of the top wedding markets in the country. I manage 170 weddings a year, 7 kids, 1 dog, 2 acres and the Chapel Designers. Evan is my husband and he manages me. © 2019 Holly Heider Chapple. All rights reserved.